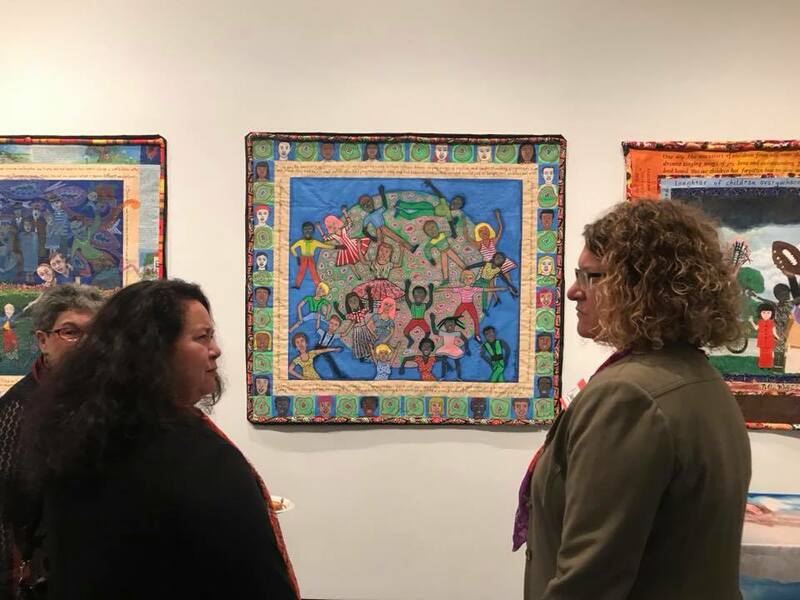 Faith Ringgold with the ACA Galleries will co-host an exhibit of nationally known artists who have donated their work to raise funds for the programs of our Foundation. Our mission is to expand the art establishment's canon to include artists of the African Diaspora and to introduce the Great Masters of African American Art and their art traditions to children and adult audiences. This year our theme will be Family, Elders and Ancestors. For an individual donation of $40 you may join us for an evening full of art, fellowship, food and jazz by the Jazz Doctors. Come out to greet old friends and to make new ones. The Foundation is a 501(c)(3) charitable organization supported by people devoted to the visual arts. Join the Anyone Can Fly foundation at our annual Garden Party. 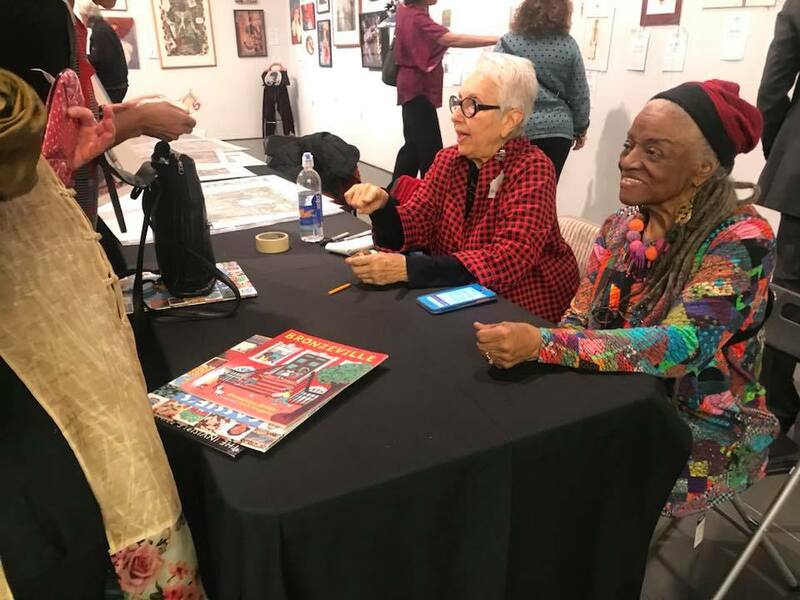 Faith Ringgold, foundation founder, will host a fundraiser at her Englewood Studio this year recognizing Master Artist, Beverly McIver with the 2017 Celebrated Artist Lifetime Achievement Award. The donation to attend this afternoon event is $129.00 per person. Join us on Saturday, October 22, 2016 for the 15th year of our Fall art fundraiser hosted by ACA Galleries this year at the New York Open Center’s Grand Room. Refreshments will be served. The Anyone Can Fly Foundation, Inc. was founded by Faith Ringgold in 1999 beginning with a garden party at her artist’s studio in Englewood, New Jersey. In 2002, she held the 1st Annual Art Exhibition, Sale & Silent Auction hosted by the ACA Galleries with the purpose of raising funds to further programs to advance the mission to educate child and adult audiences concerning the importance of Masters of African American Art. The Foundation is a 501c3 charitable organization supported by people devoted to the visual arts. The donation at the door is $40.00. Join the Anyone Can Fly foundation at our annual Garden Party to honor Norman Lewis as the 2016 African American Masters Legacy Award Honoree. Annual Holiday Party to thank the volunteers who support the work of the Foundation. Join us for a wonderful night of art and music at the annual Anyone Can Fly Foundation Auction hosted by ACA Galleries at the Open Center's Grand Room. Join the Anyone Can Fly Foundation in Faith Ringgold's studio and garden for an evening of conversation and dinner to honor the work of celebrated artist Carolyn L Mazloomi, PhD.